EuroRentalGroup does not provide any rental introductory services and does not own or operate any rental companies. EuroRentalGroup is booking agency. Your contract for any rental will be between you and the rental provider. The terms and conditions of the rental agreement between you and the rental provider are available on this booking engine when you select the type of rental and insert the other relevant information. EuroRentalGroup makes no warranty or representation in relation to any rental provider or any object rented by any rental provider. It is the rental provider’s responsibility to provide you with a rental object rented on this booking engine. EuroRentalGroup obligation is to provide that this booking engine should be available 24 hours a day. Access to the booking engine may be suspended temporarily and without notice in the case of system failure, maintenance or repair or for reasons beyond EuroRentalGroup control. In the event of a dispute between EuroRentalGroup and you, our liability to you, if any, is limited to the amount of our introductory service fee you paid when you make your booking. In order to book your car you just have to follow the easy steps from the webpage. All data you give on our website are sent encrypted to our servers, so that nobody else can access your details. Please check the security certificate on our web page. These payments will not be captured from your bank account until the booking is confirmed by our car rental partner. Should your booking for any reason not be confirmed the payments will be cancelled. The amount of the down payment will be shown in the last stage of the booking process. This amount can finally be lower than the one you saw when you placed your order and it can rarely be exceeded, as our car rental partners have different down payment policies, but the total price of the booking won’t change in any case, as the down payment amount only affects the balance to pay upon delivery / pick up. Full payment details will be shown on your confirmation voucher and receipt, which we will send to you as soon as our car rental partner confirms your order. You have to make sure that the amount for the down payment is available on your bank account or else the payment may fail, resulting in a cancellation of your order. Your confirmation voucher with details on how to meet our car rental partner and get your rental car, as well as a receipt with full payment details will be sent to you by e-mail, normally within 72 hours after the order is made. If for any reason none of our car rental partners can confirm your order, a cancellation e-mail will be sent to you with a suggestion to change your order. In such case, no payments will be made. It is essential that you provide a correct e-mail and mobile phone number as the voucher contains very important information on how to get the car at your destination. Until the booking gets confirmed, we do not know which car rental partner will confirm it. The name of the car rental company, delivery / pick up instructions, address and telephone numbers will be written on your voucher. No refund will be made due to not received/read voucher. All amendments must be made via the Customer Login on our website and confirmed by EuroRentalGroup. When an amendment is made, a new order is created and if it gets confirmed, you will get a new order confirmation, the original order will be cancelled and the needed changes in the down payment for the original order will made. The total price of the amendment may vary; please check carefully before creating it. It is very important that you read the new voucher as details, such as the car rental company, might change. Extension of the rental, after the rental period has started, can be done by contacting EuroRentalGroup. In some cases, extensions are made directly with our local car rental partner. In case you wish to drop the car off earlier than booked, EuroRentalGroup will not refund any amount for the unused days; it is entirelly up to the car rental company whether they decide to do so. If, when you arrive at our car rental partner’s office, you decide that you don’t want any extras or services booked (babyseats, additional drivers, etc. ), EuroRentalGroup will not refund any amount for the unused extras / services. All cancellations have to be made via the Customer Login on our website. If you cancel a confirmed booking at more than 48 hours (2 full days) prior to the start of the rental period, the down payment will be refunded to your bank account. You will incur no other costs, except for the reservation fee and those that might occur due to the currency exchange policy of your bank or credit card company. If you cancel a confirmed booking 48 (2 full days) or less hours prior to the start of the rental period, the down payment will not be fully refunded. There is a maximum amount, though, of 50 Euro which can be kept by EuroRentalGroup to compensate the car rental company for their costs. For example, if the down payment is 35 Euro, there will be no refund, but if it is 55 Euro, a refund of 5 Euro will be made. Cancellation after the start of the rental period will be handled by the car rental company at your destination. No refund will be made for no-show at destination (if you do not show up to take the car) or failure to produce the necessary documents, early returns or cancellation after the rental start date. In case you wish to cancel the booking after the rental start date and time has passed, EuroRentalGroup will not refund any amount for the unused days; it is entirely up to the car rental company whether they decide to do so. For last minute orders, no refund will be made if the order has been confirmed by the car rental company, but you fail to read the voucher in time and therefore pick the car up. As EuroRentalGroup is a broker, we co-operate with famous car rental brands, but also with trustful local, family firms and we always guarantee the confirmed car to our customers. In the rare occasion, though, that our local partner is unable to complete the rental agreement (due to bankruptcy or force majeure, etc.) EuroRentalGroup will try to confirm your booking with another local supplier. In case that no other supplier is able to confirm the booking, EuroRentalGroup shall cancel it and refund all charges made. You will be informed by e-mail or phone call about the cancellation. EuroRentalGroup makes every effort to ensure that prices quoted at the time a booking is made on this booking engine are accurate in all material respects. Nonetheless EuroRentalGroup reserves the right to amend the price quoted at the time a booking is made in the event of a manifest or patent error in the price quoted. EuroRentalGroup will endeavor to notify the customer as soon as reasonably practicable in the event that a price quoted at the time of booking is incorrect. In the event of a change of price quoted at the time of booking the customer may elect to pay the amended price or alternatively the customer will be entitled to a refund of all sums paid. The foreign exchange rates used by EuroRentalGroup to display prices in the currency chosen by the consumer are updated frequently. Foreign exchanges rates used by your credit card company may vary. EuroRentalGroup cannot be held responsible for any discrepancy between the price displayed by EuroRentalGroup and the amount charged by your credit card company due to the rate of exchange used. Complaints are accepted in writing only and must be logged to EuroRentalGroup Support and received within 30 days of completion (drop-off date of the rental vehicle). Complaints received after this period will not be processed. Actions against EuroRentalGroup are restricted to the laws that occur within the jurisdiction of the Croatian courts. EuroRentalGroup endeavors to ensure that all credit card transactions on this booking engine are secure. HOWEVER, if unauthorized charges appear on your credit card statement for any card used on this booking engine at any time during or after you make your reservation, conduct your transaction or disclose your card details on this booking engine, EuroRentalGroup shall not be liable or responsible in any way in respect of any damage or loss of whatsoever nature suffered by you arising from or in any way connected with said use, transaction or disclosure, subject only to any statutory rights which you may have. This booking engine is made available to users as it is and EuroRentalGroup makes no warranties or representations that (i) this booking engine or the technology (servers etc.) making it available and supporting it will be without fault or defects or (ii) the information posted on this booking engine is free from infection by viruses or anything else with contaminating or destructive properties. EuroRentalGroup accepts no liability for any infection or effects from harmful applications such as, but not limited to, viruses, Trojans, tampering, fraud or theft, error, technical failure, omissions, delay, unauthorized access or any event which corrupts the acceptable administration, communication and integrity of this booking engine. Reservations via EuroRentalGroup are accepted only if a valid credit card is given during the booking procedure. As EuroRentalGroup is located in Croatia, the reservation fee and the down payment will be charged in Kuna, as well as the payment of the balance and anything purchased. Please note that rates are shown with an exchange rate of the actual day and small differences may occur on the day of pick up. There might also be small differences due to currency exchange policy of your bank or credit card company. 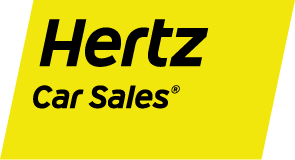 Most car rental companies require a credit card guarantee for the rental. Our car rental partner may ask for a guarantee of 300-1000 Euro, depending on car category. Higher amounts may also occur. For airport pick-ups, it is essential that EuroRentalGroup is given a correct flight number and arrival time, before rental start date. The flight information, including timings, is the responsibility of the customer only. Failure to supply correct and accurate flight information may delay delivery / collection of the vehicle. For port pick up, we need the name of the ferry and arrival time. For hotel deliveries, we need the name of your hotel and also, if available, the telephone number and address of the hotel. Please note that Hotel, Port and Railway Station deliveries are on request basis and we cannot guarantee their confirmation. If detailed pick up / drop off information is not available at the time of booking, you have to inform us about these details at least 3 days prior to the rental start date. You can do it by e-mail. Should this information not be provided in time, neither EuroRentalGroup, nor our car rental partners can be held responsible or obliged to a compensation for a failed rental. In most locations flights / ferries can be met and cars supplied outside normal working hours. However, an additional charge for the “out of hours” service might apply, and it is paid locally. In the event that a flight / ferry is delayed or for any other reason causing the car pick-up to fall outside normal working hours, an additional charge may occur locally, where the “out of hours” service is available. All delivery / pick up details as well as contact information for the company, which has confirmed the booking, will be written on the confirmation voucher. At the airport, our car rental partner will usually wait for you at their airport desk. In some occasions, a representative from the car rental company will wait for you in the arrivals hall with your name/car rental company name on a sign giving you the car at the airport parking or using shuttle service to transfer you to their off-airport office. When picking up the car at a hotel, the car will be delivered there or our car rental partner’s shuttle service will transfer you to the nearest rental station. A charge for delivery / pick up and/or collection may apply and, if it does, it will be shown during the booking procedure. Should you have any problems finding the car rental company, you have to call the telephone number/s written on the voucher under “Contact/delivery / pick up information” part. We strongly advise that you carefully check the car and have any existing scratches or damages noted on the rental agreement before you start using it! Your selected drop off date, time and location will be written on your voucher. You will also be given detailed instructions regarding the drop off when you pick up the car. If you wish to change the drop off information and the change is accepted by the car rental company, there might be an extra charge. In addition to the national driver’s license, a valid passport or ID has to be presented at the reception of the vehicle. It is the driver ‘s responsibility to ensure that he/she presents the appropriate documents to the car rental company at the start of the rental. No refunds will be given for rentals rejected due to non-production of a valid driver’s license. Faxed or photocopied licenses will not be accepted. Croatian laws dictate that the driver must be at least 21 years old and own a valid driver’s licence for at least 2 years. For bigger car categories this goes up to 25 years of age. Rental days are based on a 24-hour basis, commencing at the time shown on your voucher. EuroRentalGroup and our car rental partners allow up to 1 hour delay in return time without charging an extra day. The one hour grace period is only valid at the time of booking. Changes in drop off time after the rental has started will be handled by the car rental company. In case of a delayed flight, etc., EuroRentalGroup and our car rental partner allow a change in delivery / pick up time of up to 1 hour, which means that the start of your rental period can be calculated 1 hour later than shown on the voucher. There will be no extra cost for this except for the “out of hours” charge which may apply. Your car rental voucher must be presented when you pick your rental car up. EuroRentalGroup cannot be held responsible for rentals rejected if a voucher is not presented. You should retain your rental documents and related receipts for a minimum of 28 days after the rental end date. EuroRentalGroup will make every effort to reserve a specific type of vehicle, whenever this can be possible, but we are unable to guarantee a particular make, model or fuel of car. However, when a car category is named as DIESEL / automatic, then a diesel / automatic car is guaranteed. Detailed information about the car type / fuel can be found at the ‘available cars’ page’ during the booking process. Reservations can only be confirmed according to vehicle categories and not according to the car model. The named cars serve ONLY as typical examples for the size, specifications and performance of a vehicle category. Providing that the specifications of the car offered by our car rental partner match the specifications of the selected car group, no refunds will be made in case the customer refuses to take the car because it is not the exact same model as the example ones shown on our website. The local car rental company reserves the right to upgrade the selected vehicle category on site to a higher one if the booked vehicle category is not available. If you are in any way dissatisfied with the standard of your booked car, you have to contact the car rental company & EconomyCarRentals immediately. Such cases should be handled locally with the car rental company. Failure to do so may result in any claims not being accepted or settled. EuroRentalGroup will rarely be able to handle complaints about the car standard or performance and make any refunds after the rental period is over. Our car rental partners have different policies regarding fuel. When you pick the car up, we strongly recommend that you check whether it uses petrol or diesel. EuroRentalGroup does not charge for fuel. The cost of fuel is always paid locally, to our car rental partner. Please check very carefully the car groups specifications during the booking process, as EuroRentalGroup cannot accept responsibility if the vehicle is not large enough to fit all passengers and luggage on arrival. Our car rental partner can refuse to provide a car to any customer who is, in their opinion, unfit to drive or does not meet eligibility requirements. Our car rental partner can refuse to provide a car to any customer who arrives at their office in more than 2-3 hours later than the confirmed pick up time. In such circumstances the agreement with EuroRentalGroup will terminate immediately. EuroRentalGroup will have no further liability to the customer and no refund will be due. EuroRentalGroup assumes no liability for actual rentals, which do not come about due to reasons for which the renter is responsible. failure to present a driver ‘s license or presenting a driver ‘s license which is no longer valid. failure to present a valid passport or identification card. failure to present a valid credit card under the name of the driver (debit cards are rarely accepted). non-compliance with regulations concerning the minimum or maximum age of the driver. Please note that the rental of the vehicle will be subject to the law of the Republic of Croatia. Local laws govern the terms and conditions of renting vehicles and the rental contract signed on collection of the car is legally binding on the renter. All reservations are made by EuroRentalGroup and all coupons and vouchers are issued by the company in their capacity as agents / intermediaries for the principals supplying the relevant services. EuroRentalGroup shall be responsible for losses the customer suffers as a result of EuroRentalGroup breaking this agreement if the losses are a foreseeable consequence of EuroRentalGroup breaking the agreement. EuroRentalGroup is not responsible for indirect losses which happen as a side effect of the main loss or damage and which are not foreseeable by the customer and EuroRentalGroup (such as loss of profits or loss of opportunity). EuroRentalGroup shall not be responsible for either a failure to perform or a delay in performing any of its obligations under or pursuant to this booking if and in so far as performance is delayed, hindered or prevented by force majeure which expression shall mean any event beyond the reasonable control of EuroRentalGroup. In case of Force Majeure all insurances become invalid. are mandatory for children in Croatia and must be ordered at the time of booking. In the rare occasion when a baby/childseat is not available for your rental, you will be notified by us and won’t be charged anything for it. Due to insurance rule, you will be required to fit the child seat yourself in the car. For your own comfort, taking along your own safety seats for children and babies is recommended). are available in some locations and must be ordered at the time of booking. In some locations the Navigation System – GPS is subject to availability, meaning that even if you book it with EuroRentalGroup, there might not be an available one when you arrive at your destination. In such case, you will not be charged for the Navigation System – GPS by the car rental company. are normally allowed. EuroRentalGroup insurance provides coverage only within Croatia. The “Cross Border Card”, which extends Insurance to other countries, must be ordered during the booking procedure or locally at car rental office. domestic is normally allowed, but it must be requested at your destination. Any extra cost will be paid locally. You must inform the car rental company that you will take the car on a ferry. Please note that no insurance covers the car for damages or theft occurred while on the ferry. One additional driver is free of charge. Third party insurance which covers third persons towards property damages and bodily injuries, offered exclusively by our local car rental partners. PAI-personal accident insurance for passengers, offered in a few destinations by our local car rental partners. Insurance coverage amounts are set by insurance laws of Croatia. Fire insurance with excess/deductible is included in most locations. Theft insurance with excess/deductible is included in most locations. CDW (Collision Damage Waiver), with excess/deductible. FDW (Full Damage Waiver), with excess/deductible. CDW and FDW mean that the car is insured towards collision damages, also those caused by the renter. In some countries, you will be required to leave a deposit of the value of any insurance excess (damage or theft), which may be charged by our car rental partner, if the car is damaged/stolen during the rental and the renter is responsible. Any administration management fees and location (airport, railway, etc.) fees charged on the damage excess are not refundable. Due to exchange rate fluctuations and/or bank transaction fees there could be some variance in the amount refunded compared to the amount initially charged. EuroRentalGroup does not accept any liability for variances up or down. EuroRentalGroup will not refund any amount for any charges made by our car rental partner for the unused days. The conditions on the car rental agreement are legally binding to the renter. At the destinations where you have to leave an excess deposit, most of our car rental partners may offer an extra insurance to cover the excess amount. PAI (personal accident insurance) for the driver may be purchased, if it is offered locally by our car rental partners. No insurance covers damages to windows-glass, tyres and the underside of the car. At some destinations WUG (windows-underside-glass) insurance is offered, which covers damages to the above-mentioned parts of the car. When offered, you will find it in the extras during the booking procedure. Any extra insurance purchased locally is not refundable from EuroRentalGroup. All rented cars are insured for a maximum number of passengers. For safety reasons this number must not be exceeded and if exceeded all insurances will be invalidated. Also, please make sure that the car your book is big enough for your needs. Charges for any of the damages written below will be charged directly to the customer, the most important of which are the following: Antenna, trays, clutch and gearbox, damage to car lock, door handle, door sill, loss or damage to keys, windshield wipers, glass, mirrors, wheels, tires, interior of the car, spare key and car jack, hubcap, lights, gas cap, warning triangles, damage to upholstery of a car, damages to the roof, damages caused by roof rack and any luggage on it, extreme dirtiness in a car, underside damage, personal belongings in a rented car, damage due to negligence, tyre punctures and burst tyres, water submersion or salt-water damage, hail damage, fuel errors, damage to child seats and baby seats, lack of electricity because of forgotten turned on electrical devices, damage or loss of car documents, damage or loss of registration plate, damage or theft of car logo. The car rental company, in any case, is not obligated to replace a flat tyre or damages in music devices (radio, CD/mp3 player, etc.). EuroRentalGroup will not refund any telephone, taxi or hotel costs. EuroRentalGroup or the car rental company will not be held responsible for anyone driving under the influence of alcohol/drugs, causing wilful damage, off road driving, driving without care and attention or damages caused by negligence. EuroRentalGroup do not provide coverage for damages made on unsealed roads. Driving the rental car on glacier is forbidden. Vehicle must not be operated in any race, speed test, rally or contest. The customer will accept direct responsibility in respect of such claims. Any unnoticed accident or damage to the vehicle may be interpreted as negligence. This may result in a charge to the customer. The rented vehicle must never be removed from the place of accident until police report has been completed and the car rental company has been notified. In case of any accident involving your rented car, you must immediately contact the nearest police station and make an accident report. The report should state if you were driving under the influence of alcohol or drugs. If you do not report the accident to the police and comply with the requirements under the country’s law, the insurance may become invalid. It is essential that you also report any accident or damage to the car rental company. In case of theft, it is mandatory that you immediately inform the car rental company, file a police report and then give a copy of this document to the car rental company. Car documents and keys must be handed to the car rental company. In general, the customer must IMMEDIATELY report all damages to the car rental company. Complaints will not be handled over the telephone, but only via e-mail communication and should be sent along with all related rental documents and receipts to info@eurorentalgroup.eu. EuroRentalGroup aims to resolve complaints within 30 days of receipt thereof. Some complaints may take longer than 30 days as the time depends on the nature of the issue and information provided. EuroRentalGroup can only consider complaints that reach them within 30 days of the final day of rental to which the rental voucher refers. EuroRentalGroup will not accept any complaints or make any refunds should the General and Local Terms & Conditions of our website and the car hire agreement not be followed. The General & Local Terms and Conditions of EuroRentalGroup are subject to change without notice.